As many of us already know, the nervous system is one of the most important systems in the body. It regulates, monitors and triggers everything, from motor control to the endocrine system, nothing will function properly if the nervous system is not running at its optimum. With the majority of the nervous system running down along the spine, it’s easy to see how slipped or herniated discs, as well as other spinal subluxations, can negatively affect the nerve channels. Chiropractors are therefore the ones most qualified to help patients in maximizing nerve supply to all the areas of the body. With so many systems relying on a functioning nervous system, all manner of physical problems and conditions can result from problems in the nerve channels. If nerve channels are damaged or pinched, they aren’t able to do their jobs properly. Everything from asthma to fertility problems can be traced back to nervous system related issues. Chiropractors have the knowledge and ability to handle many of these ailments by adjusting the spine and therefore resolving problems in the nerve channels resulting from bones that are out of place. A simple adjustment can alleviate many physical issues. Traditional means of handling subluxations of the spine usually involve surgery, which is both costly and dangerous as you can easily damage the nerve channels when operating on the spine. Non invasive methods pose a much smaller risk to the nervous system and have proven effective in correcting spinal alignment. 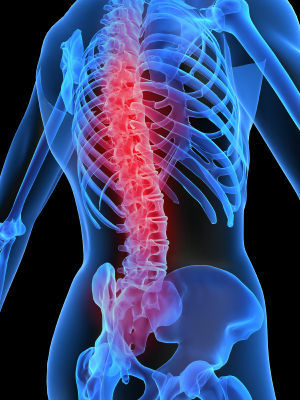 It is a far less risky approach to the matter by using chiropractic treatment, as well as it is much more economical. Maintaining a healthy nervous system is important to all aspects of health. Seeing a chiropractor can ensure proper nerve flow, thus keeping the body’s other systems functions properly as well. Maximizing nerve supply should be just as important as any other health related concern.